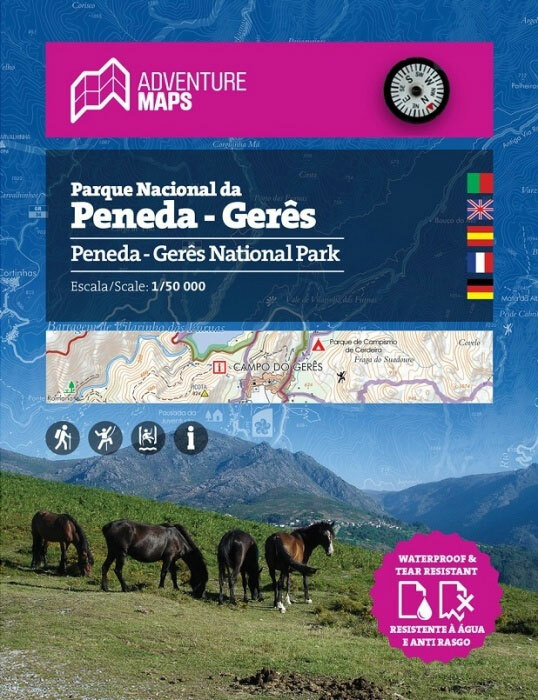 This hiking and trekking map of the Natural Park of Peneda-Geres by Adventure Maps is at a scale of 1:50,000. It is published in five languages (Portuguese, English, Spanish, French and German). It includes hiking trails and relevant tourist information on canyoning, climbing, monuments, waterfalls, among others. It is made of anti-tear and water resistant material, and includes a small compass.